What a brilliant game, another 3 points, the only unbeaten team in the Premier League. It was always going to be tough going to Upton Park, but the boys battled and deserved the win. Martinez will need to learn from mistakes and bringing on Lukaku and McCarthy certainly changed the game. A team with Lukaku, Barkley and Mirallas all attacking is going to be difficult for any side to defend against. Unfortunately it just doesn’t seem to be working for Jelavic and it is hard to use the excuse of no supply when we have Barkley, Barry and Mirallas all supplying him (although the supply and team performance did improve considerably after half time). Baines had another outstanding game, 2 master class free kicks and an all-round brilliant performance, selling him would have been criminal. Naismith didn’t quite live up to the standard of the last game and he was subsequently substituted at half time. Barry was once again solid in the midfield; he just makes you feel comfortable and offers fantastic protection for the back four. Jagielka didn’t have his best game, but you can’t fault his defending. He does however need to work on his distribution which is inconsistent and occasionally puts us under pressure. Would you be happy if Jelavic was sold in January? Was it a scrappy game or a hard-earned 3 points? 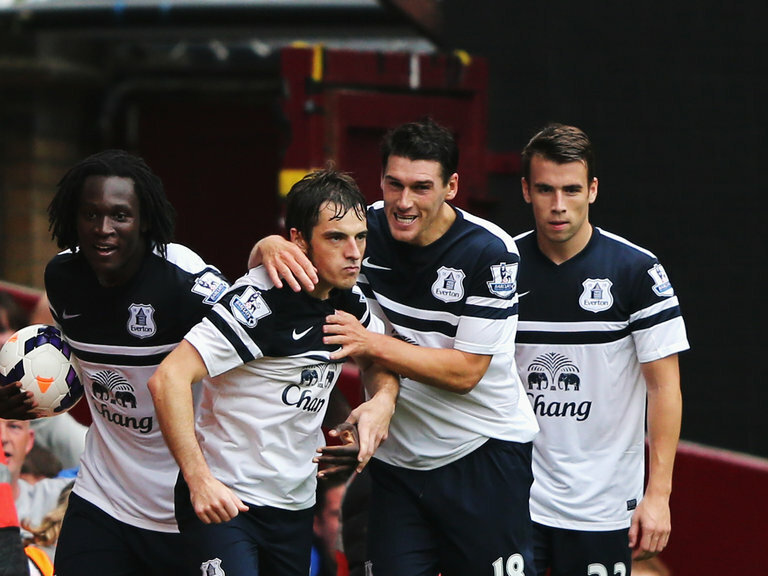 Next Post Baines happy to stay a Blue!